I received book for review from VirtualAuthorBookTours.com. The opinions within this post are of my own and I was not influenced in any way. Please do your own research before purchasing products or using services. Your opinions and results may differ. Comfort of Fences explores the unconditional love between a trio of women: Ruth, the matriarch and builder of boundaries; Denise, her special-needs adult daughter with powerful secrets of her own; and Georgia, Ruth’s best friend and source of strength and practicality. The dynamics of their relationships expose the ironies that the people we love the most can also be the people we most underestimate and that the strongest of loves has nothing to do with romance. Centered around three lead characters, Comfort of Fences weaves a story of women who build a stronger bond after a diagnosed illness. There's Ruth, who's diagnosed with cancer, her special-needs daughter, Denise, and a best friend, Georgia. The book is written in different points-of-views. It's a little confusing at times but, for the most part, the reader is able to stay in tune with which character is telling their part of the story. I experienced several emotions while reading this book. There is some sadness surrounding cancer, but you're not drug down with it. The female characters are strong, witty, and a force to be reckoned with. Written by Stacy Overman Morrison, the story is eloquent and the events are relatable. 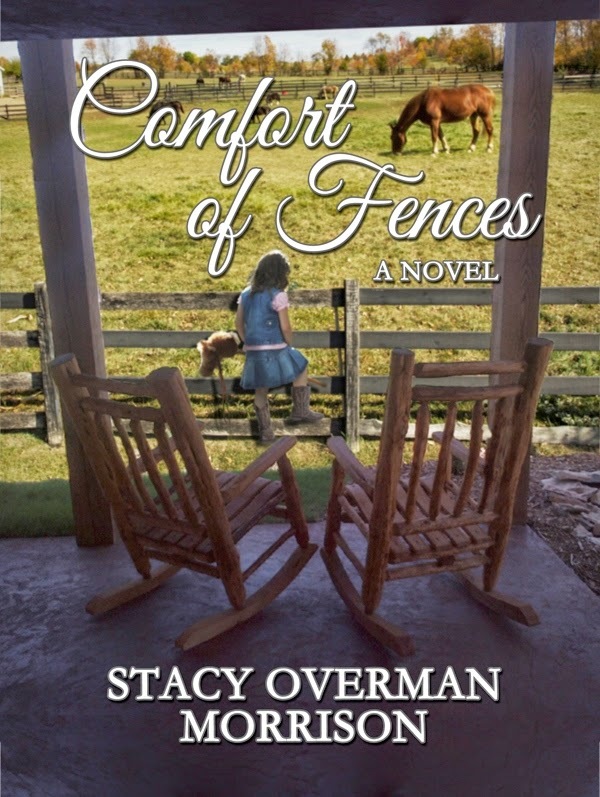 One person will win Comfort of Fences in choice of ebook or paperback copy. I would prefer the paperback. Thanks for taking part in the tour. I'm so glad you enjoyed 'Comfort of Fences'! I'd prefer a paper copy. Thanks for the giveaway. If I won, I'd like to have the paperback. I would prefer a paper copy. Thank you. I would like the paperback book. I have finding that I love the ebooks on my tablet so I would choose the ebook :) Thanks for the chance! The paperback..nothing like holding a real book in your hands..call me old fashioned! Paper back book please, myself I am also old fashioned. I'd rather have a paperback copy. I'd like to have the paperback version. I would choose the paperback copy.